If you wish to place a bet on PointsBet website, you must meet certain requirements first. These include being in the allowed country, properly verifying your account, and using only the accepted currencies. 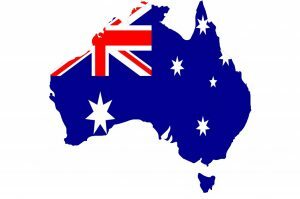 Hopefully, this PointsBet legal guide will answer all of your questions regarding the legality of this Australian bookie. How to test if my location is allowed at PointsBet? ⦁ Click on the “test my position” button above to easily find out if you are in the allowed country. 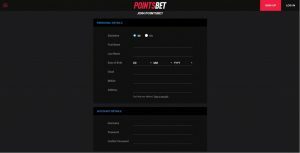 ⦁ If the result is positive, you will be free to set up your account and start betting on PointsBet. ⦁ If the results show that you are located in one of the restricted countries, you won’t be able to use the bookie at all. Through our “test my position” button you can easily find out whether you are eligible to open an account on PointsBet or any other bookie for that matter. This is a practical way to find out whether it’s possible to bet on a certain website without having to scroll through long lists of countries. Unfortunately, PointsBet is exclusive to Australian residents only. The company is registered by the Northern Territory Racing Commission (NTRC). There is no official information whether this will change in the future and whether foreign residents will be able to open the account and bet. Even if you are Australian but are living abroad, you won’t be able to verify your account unless you provide the website with the information on your Australian residential address and banking details. You can also use PointsBet in all other Australian territories and external territories. PointsBet terms and conditions state that by entering their website you are automatically agreeing to not open the account and use it if you do not have Australian residency. They also claim that you must agree that your account will be suspended or permanently closed if you are not an Australian resident. So even if you are from one of the countries that fall under same or similar gambling laws as Australia, you will not be permitted to use PointBet as your online bookie. Some bookies have a so-called “gray area” when it comes to country restrictions. This means that your country may not appear either in the allowed or restricted countries list. In this case, your country may be partially restricted, which indicates that you can only use the bookie to some extent. However, PointsBet makes it pretty clear that only Australian residents can make an account on their website. There are no nations that are partially restricted since any country other than Australia is fully restricted from the website. In order to be eligible to open an account on PointsBet website, you must meet certain requirements other than being from Australia. Firstly, all members must be 18 years of age or older. This is a standard procedure in most countries since minors are forbidden to gamble in any form. Other PointsBet legal requirements include providing the website with personal information like your name, residential address, email address, phone number, and most importantly, payment details. All these details must be kept up to date since PointsBet reserves the right to suspend or permanently close any account that provides incorrect or false information. PointsBet legal terms and conditions state that all the personal information you provide them with will be kept private and will serve only for identification purposes. Among other, verification documents include a rates notice, a utility bill, or a statement from a financial institution that is not more than three months old. The documents must be provided in English and they all must match your name and residential address. All this information is necessary in order for you to be able to deposit and withdraw from PointsBet. Once your information is cleared, your account will be verified and you can start using it actively. The only allowed currency on PointsBet is the Australian dollar. All the betting including promotional offers and bonuses is measured with this particular currency. ⦁ Can I access my PointsBet account while I am abroad on holiday? If you move abroad, even for a holiday, you must inform the website immediately. There is no information we found whether you can bet on PointsBet while you are away. ⦁ Do I really have to provide proof of my identity/address to PointsBet? Yes. This is essential and all information you provide must be correct. It is the only way PointsBet can know if you are using the account under your own name and with credible payment details. If you do not provide your true identity, PointsBet reserves the right to fully restrict your account. ⦁ Am I allowed to use PointsBet promo code in a restricted country? All betting including promotional offers and bonuses can be used by Australian residents only. If you are not from Australia, you won’t be able to bet on PointsBet in any form. ⦁ Which currencies can I use to fund my PointsBet account? The only accepted currency on PointsBet at the moment is the Australian dollar. Every other currency must be exchanged to AUD before placing a bet on the website.